Around the turn of the 20th century, schools rugby league was formalised. Compiled from a nationwide archive, Different Class puts a long and illustrious history in context, capturing its flavour with an array of colourful contributions. Examining the communities from which it sprang, neighbourhood rivalries, prevailing social conditions, stories of overcoming great odds and trips into the unknown, it traces the pioneering spirit that has characterised the schools game, and the role played by teachers as mentors and inspiring personalities. Mixing fact and anecdote, the book contains a wealth of reminiscences from some who went on to become superstars of the sport, alongside those for whom the school playing field was their zenith. 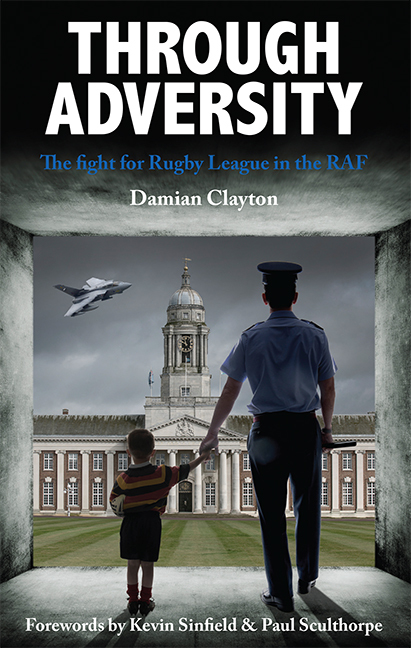 Through Adversity is the story of Damian Clayton MBE, whose relentless pursuit of the rugby league dream has seen him brush shoulders with royalty, tour the world, receive a gong in 2008 and be voted Combined Services Sports Official of the Year. Despite having long since achieved his main goal – to see his beloved rugby league recognised officially by the Armed Forces – the inspirational Royal Air Force Flight Sergeant continues to give his all to the sport he loves. Clayton, the RAF’s ‘Mr Rugby League’, has been on a long journey. Since 1992 he has worked tirelessly to ensure the sport he has graced as player, administrator and coach is given the same official recognition that dozens of other sports that military personnel take part in – such as football, cricket and tennis – take for granted. Thrilling. Historic. Momentous. For the faithful supporters of Bradford City Football Club, the season 2012-13 proved to be all of that and more. Promotion from League Two was always the number one priority for a team that had not so very long ago flirted with the Football League trapdoor. Yet for much of a topsy-turvy campaign, a crucial end-of-season play-off spot hoved tantalisingly in and out of view. Wembley, though, was very much on the horizon – and not once, as it turned out, but an unprecedented twice! City’s first visit came courtesy of some outstanding performances against Premier League opposition in the Capital One Cup. Among the victims, a full-strength Arsenal, Wigan and Aston Villa, over two legs. And finally there was indeed the League Two play-off final itself, which the Bantams – driven on by inspirational manager Phil Parkinson – scrapped their way into via an amazing late-season run of form. It was an astonishing backs-to-the-wall story that BBC Leeds commentator and Bantams lucky charm Dave Fletcher was on hand to cover every step of the way. And that in his first year covering the club! 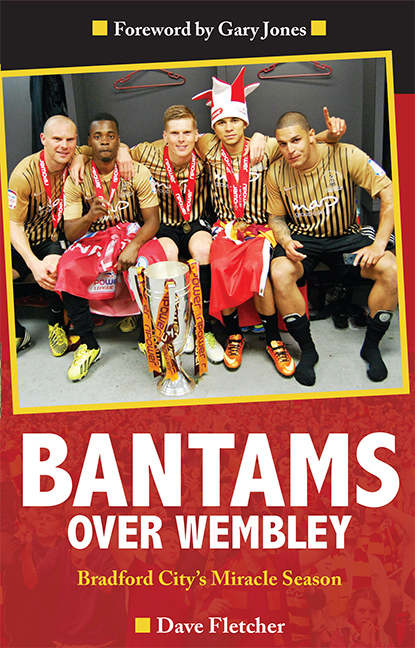 With a foreword by skipper Gary Jones – who twice led City out onto the hallowed turf – Bantams Over Wembley is the perfect keepsake of a perfect football season. 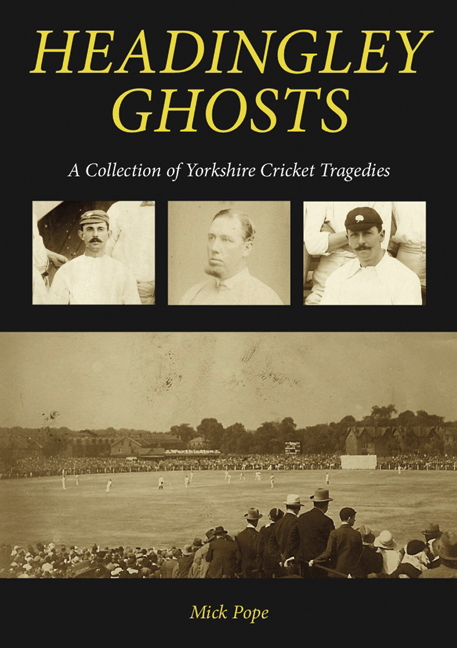 Compiled by Yorkshire cricket writer and researcher Mick Pope, Headingley Ghosts is a dark collection of over 60 Yorkshire cricket biographies, spanning more than 180 years of the game in the county. From the Sheffield pioneers of the 1820s to the modern tragedy of David Bairstow, this haunting book – through original research and a wide selection of rare images – recalls what became of these tragic Yorkshire cricketers beyond the boundary. They died young, they died old; they died in obscurity; they died in poverty; they died on the road, in the air and on the rail track; they died by their own hand; they died in war and they died fighting sickness – collectively they are Headingley Ghosts. There was once a bear. A big brown bear. And his name was Grubber. But Grubber was not happy. RLWC2013 was about to kick-off … it should have been an amazing day … but Grubber had a problem. A BIG PROBLEM! What’s A Bear to Wear? 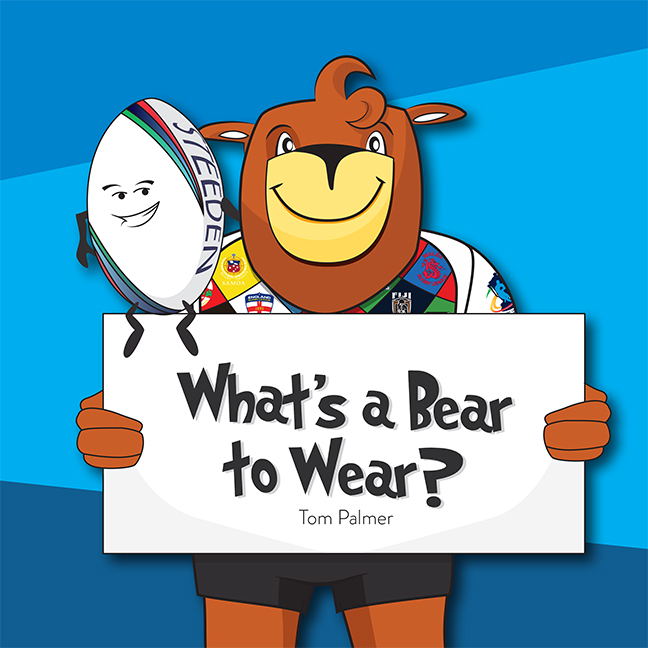 is a new picture book for young children featuring Rugby League World Cup 2013 official mascots Grubber and Steed. Rugby’s newest double act were created by Mark O’Hanlon based on the designs of three young designers – Emily Sixsmith, Sam Bithell and Luke James. The book’s original illustrations are by Alex Thomson. So dive right into What’s A Bear to Wear? to discover what the problem is and find out how Steed helps Grubber to to solve it. This book is produced in association with Try Reading, a new project for public libraries. 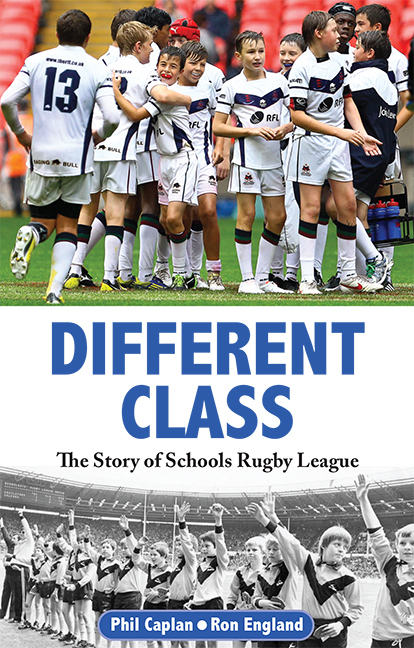 It celebrates and promotes the sporting event of the year – Rugby League World Cup 2013, while encouraging more people to read and to have a go at writing and drama. The project is being funded with an award from the National Lottery supported £6 million Grants for the arts libraries fund by Arts Council England.